This week the 12five team gathered for our quarterly get together. We rely on these functions to catch up with one another, especially colleagues that may work on a different team or in another state! It is always a good feeling to see all your coworkers in one place at one time and this week was no exception. 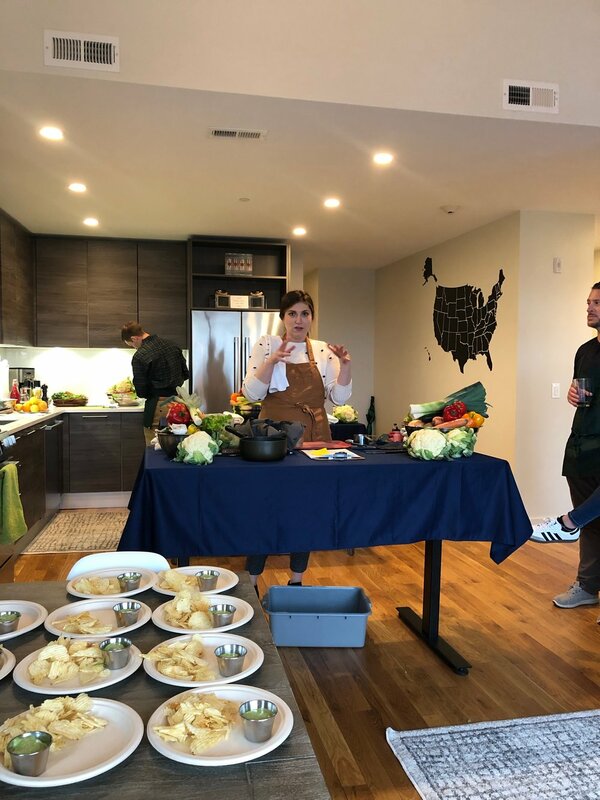 We’ve had a number of fun events in the past, but this time we tried cooking! 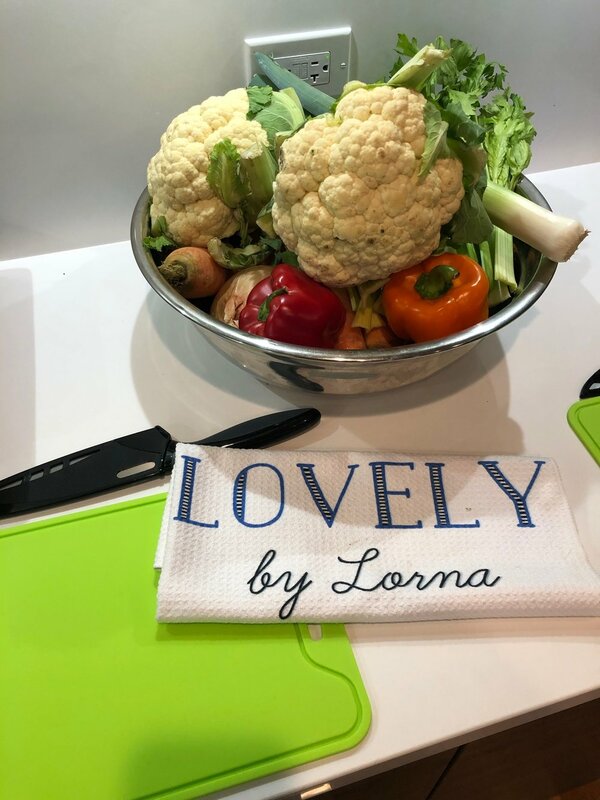 Lorna Biljan runs a small private chef, catering and cooking class company called Lovely by Lorna. She works throughout the Chicagoland area and hosted our class out of our new LaGrange office. Our team worked on our knife skills and learning how to artfully slice and dice. We made crudités to pair with an amazing green goddess dip and diced up all the veggies needed for some delicious soup. We watched a demonstration on how to prepare a slow roast salmon filet and a creative ribbon salad. We also made a cauliflower gratin with some surprising ingredients.